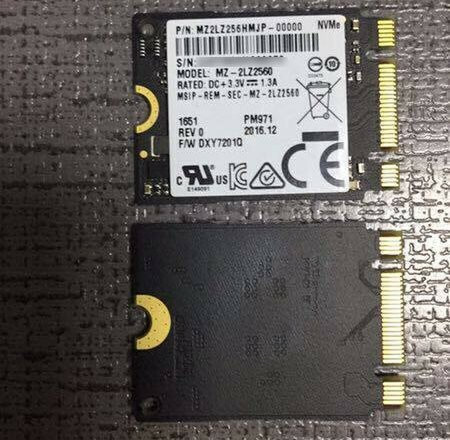 Last week, we were introduced to Samsung's upcoming PM981 SSDs, which should give way to higher-performance parts such as the 980 series. Today, however, it's the slightly lower-tier PM971 platform that has surfaced, which should give way to Samsung 970 series of NVMe SSDs. Remember that the company seems to be moving away from their "EVO" and "PRO" monikers as performance differentiators, and this new nomenclature series should replace it come launch time. 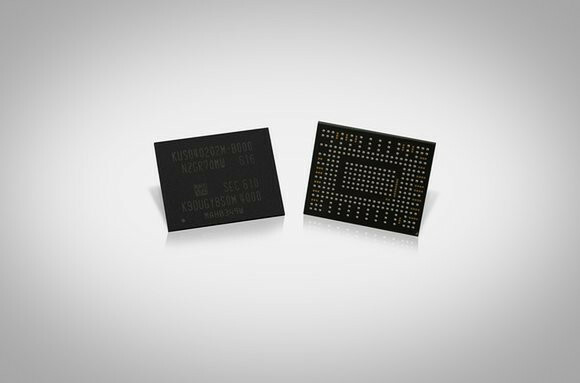 The PM971-based SSDs will feature a 22mm x 16mm x 1.5mm multi-chip package that includes Samsung's Proton controller, LPDDR4 DRAM cache, and V-NAND flash into a single chip. As was to be expected from a more mainstream solution, performance will be noticeably lower (at least in pure numbers) when compared to the higher-tier 980 series. Whereas the 512 GB version of the 980 series is expected to deliver 3,000 MB/s read and 1,800 MB/s write speeds (sequential), the 970 series' 512 GB part should deliver up to 1,500 MB/s sequential read and up to 900 MB/s sequential write speeds - which are more than enough for all but the most demanding users, and shouldn't deliver that different of an experience. Samsung does seem to know how to keep making higher performing drives with each generation while competitors are barely able to keep with older drives from samsung. Well it helps when they make their own NAND and controllers specifically for their drives. 4TB sata ssd for $200 is what we want. I liked to use before CORSAIR SSD, but Samsung is leader last 3 years in SATA III SSD and M.2 NVMe SSD Market. Now I look first Samsung and Intel. But I expect always to find nicer performance for price with Samsung. They could become leaders and with DDR4 memory and DDR5 later. Only if they launch some cool desktop memory with heatsinks. But they like more to sell modules and CORSAIR, Kingston, GSkill to optimize them with different platforms. There Samsung lose significant price than if they decide to offer high end DDR4 directly to customers. But only I know for sure is that Dominator Platinum will look better. Just to recap with this new name nomenclature, the PM971 Would be the new EVO and PM981 Would be the new Pro? Also it looks like to me this time around the PRO would have a lot of performance over the EVO line, ¿that statement would be accurate?